Have you ever imagined that a women should be a bus or rickshaw driver so that so many of our sisters could have safe rides and move around freely without fear of being molested, harassed or abducted by the auto man? Well I have dream of it and now it seems that the women are going to conquer the old and stereotype mindsets of our society. The commutation is biggest issue of every woman or girl going out from home for different purposes. Government of Punjab tried to resolve it by providing bus facilities and a special Pink Bus which will only carry female passengers but it somehow failed. Now another initiative of Government of Punjab is to run “Pink Rickshaws” which will not only carry female passengers but also female drivers. The sassy color will tell you that it is for the women and by the women. Sounds pretty amazing but do not forget it will bring so many other hazards for female drivers. Though the cultural barriers are going to be removed by these sassy pink rickshaws and female drivers. It will also help them to earn their bread and butter and keep the wheel of life moving. This new opportunity will lead to endless opportunities and those who are incapable of working in offices or abhor bossy behavior of people can have their own business which is easy and affordable for them. 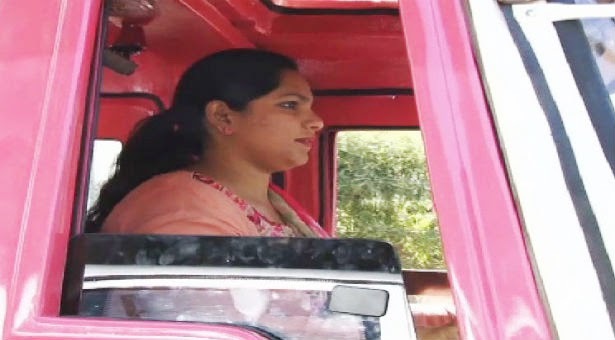 Although many women pool cars’ rides but no one had this kind of vehicle which is actually a modernized auto rickshaw and adopt it as a profession. The new design has safe and covered sitting for both driver and passenger; and it could also save them from being showy on signals. I was expecting that women will be riding Scotties in near future but now I see a broader spectrum in front of me for those who are illiterate or want to do something less hectic. This will also make women financially independent, although they have to face much criticism from society and driving auto rickshaw on the roads is not at all an easy job, but I hope they will succeed, as women can do anything in the world. They will break the old barriers and will become a good example for our new generation. Now many women and girls can move on freely and without fear of being harassed. The initiative deserves praise but Government should not also forget the pros and cons of the business, the special workshops should also be made and specialized mechanics should be hired for the maintenance so they don’t need to get into hazards of local workshops and their processes for maintenance.